A fun way to count down the days! Pregegg is a fun way to count down the days. Enter your due date and the clock begins! The egg counts down until on the expected day, it opens to reveal a tiny chick. Pregegg is a clever 9-month countdown to your baby’s expected birth day with the display indicating the number of days remaining. 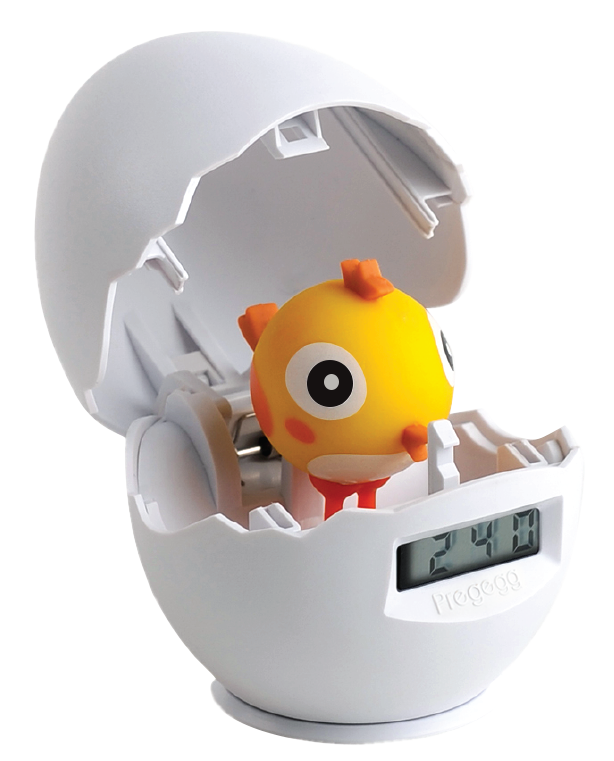 Pregegg uses one long life CR2032 lithium battery which is included in this package. Detailed instructions are included and the setup is quick and easy.